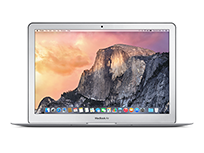 Both 11inch and 13inch Macbook Air models can be repaired by our technicians, including cracked screens, hinge replacements and battery servicing. 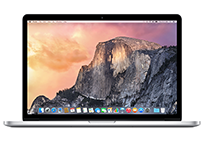 If you are unsure what kind of repair your Macbook Air needs just call us on the shop landline and we will be more than happy to advise you. The trusty MacBook Pro is a staple feature on our repair workbench. 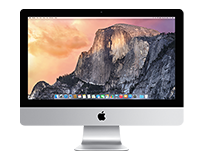 Our Mac wizards are able to breeze through even the most time consuming repairs such as keyboard replacements, and we have stockpile of genuine Apple parts allowing us to offer this service as same day. We can expertly swap out the Retina panel on all Macbook models, but if you would prefer us to change the whole top unit please let us know and we will be happy to carry out the repair to your specification. 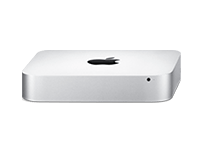 We can carry out SSD upgrades, increase your RAM or carry our other maintainace to your Apple iMac. 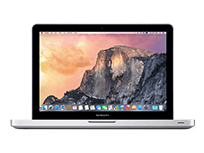 We can do both physical repairs and resolve any issues you may be having with the MAC OS software. 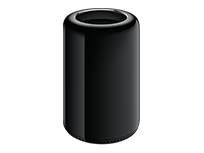 We are the first company in Leeds to offer a full service solution for the newly launched Mac Pro: these high end systems need to be in tip top condition to function as intended. With powerful processors and graphics, it's a little powerhouse that's mini in size only. Just plug in your own display, keyboard and mouse to get the most out of every centimetre.